After locating the request you want to manage, select the action item to the left of the request. There are 2 options - Manage for this Request (Reset Tasks/Reassign Tasks) and Delete Request. By selecting a the checkbox for the request that you want to delete and then selecting 'Delete Request', you will delete the request. This action will perform a soft delete - removing the request from the user's reports and cancelling open tasks but not at the database level. There are two choices to manage a reset or reassign tasks, you can select either the 'Request Management - Flow' OR the 'Request Management - List' tab for the request (Next to the request's 'Request Detail' tab). 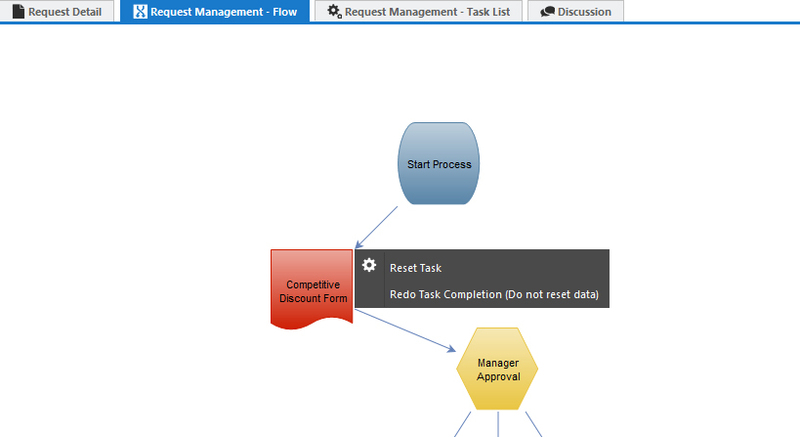 Note: The 'Request Management - List' tab will only display the completed and 'in progress' tasks. 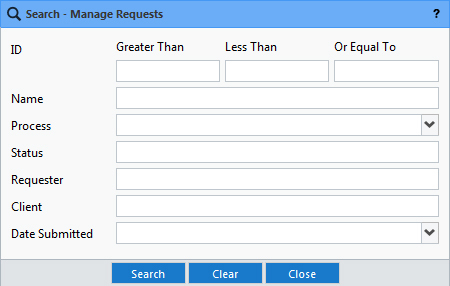 You can also choose to manage a request by selecting the 'Request Management - List' tab for the request. Note: This will only display the completed and 'in progress' tasks. 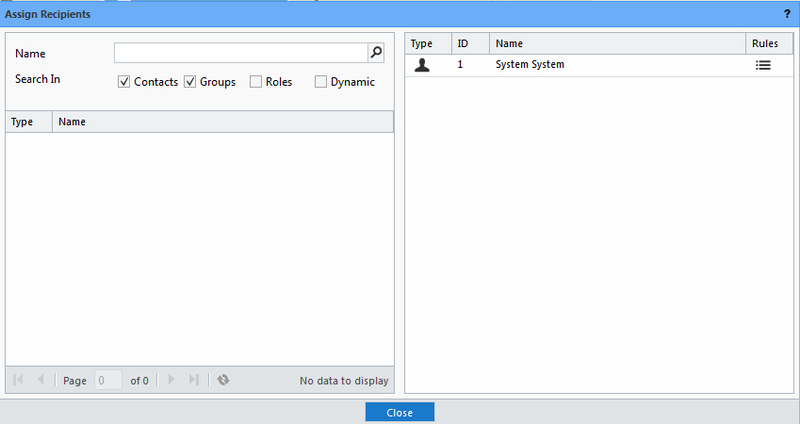 From this list view, you can perform the same management options as described above.